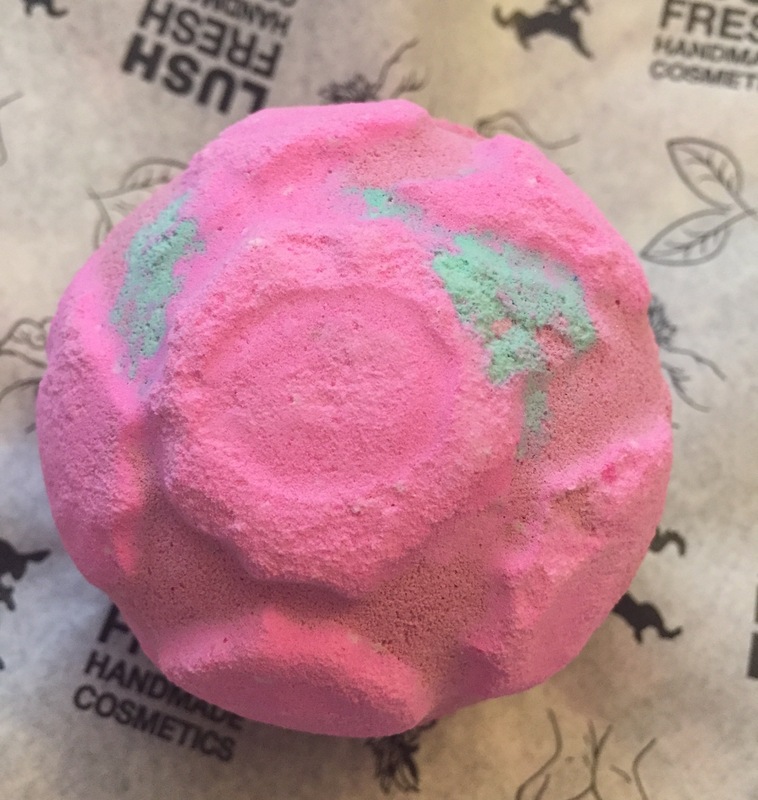 There aren’t many scents that lush produce that I don’t like, however at the moment a lot of the new release products happen to be the ones I’m not keen on, the Rose Bombshell scent being one of these such scents. I have however tried to keep an open mind when I tried this product as I have found on a few occasions that I actually end up loving a product I didn’t think I was going to like. 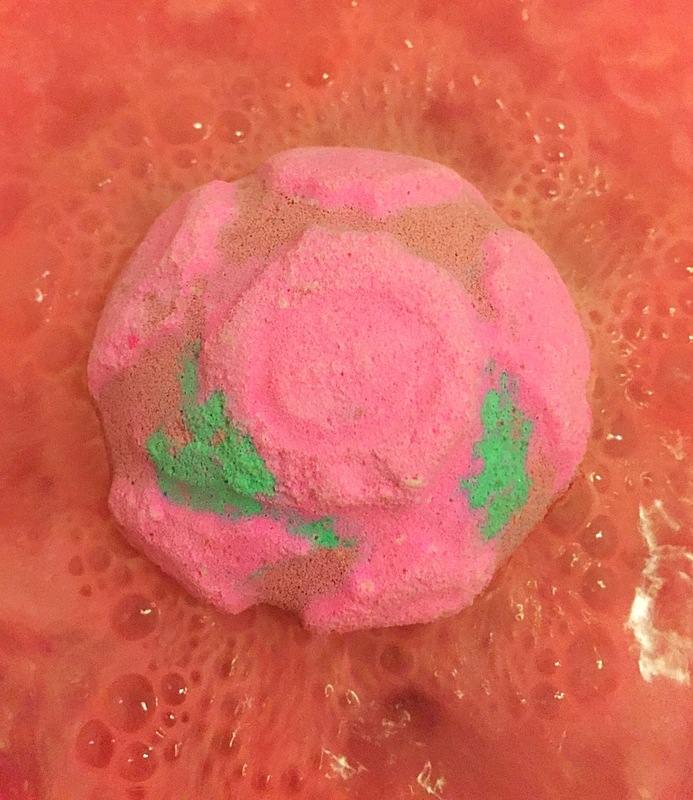 The Rose Bombshell first made its appearance last Mother’s Day (2015), this year it back again but has had quite a dramatic makeover. Last year the bath bomb was a simple white colour but this year it is the complete opposite, and is a beautiful rose pink colour, detailed with very intricate roses. This is defiantly one very pretty bath bomb indeed. The scent of the rose bombshell is very much a floral rose scent and very similar to the rose jam shower gel. I was really surprised at how strong the scent of this bath bomb is! The scent was strong enough to pretty much filled my whole flat. 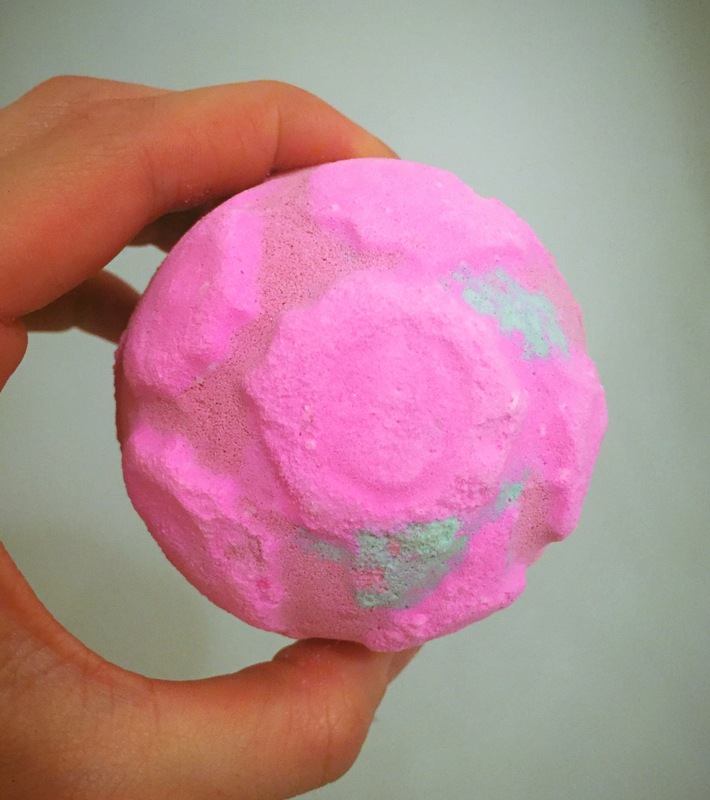 I have found lately that a lot of the lush bath bombs loose there scent very quickly when it the water, but the Rose Bombshell could still be detected even when I had finished my bath. Personally I did find the scent a little over powering, but this is mainly due to it not being my favourite scent. I do however wish that some of lushes other products where as strong as this one. Once popped in the water the Rose Bombshell is a very fast fizzer. As it fizzed away it turned the water a beautiful milky pink coloured. 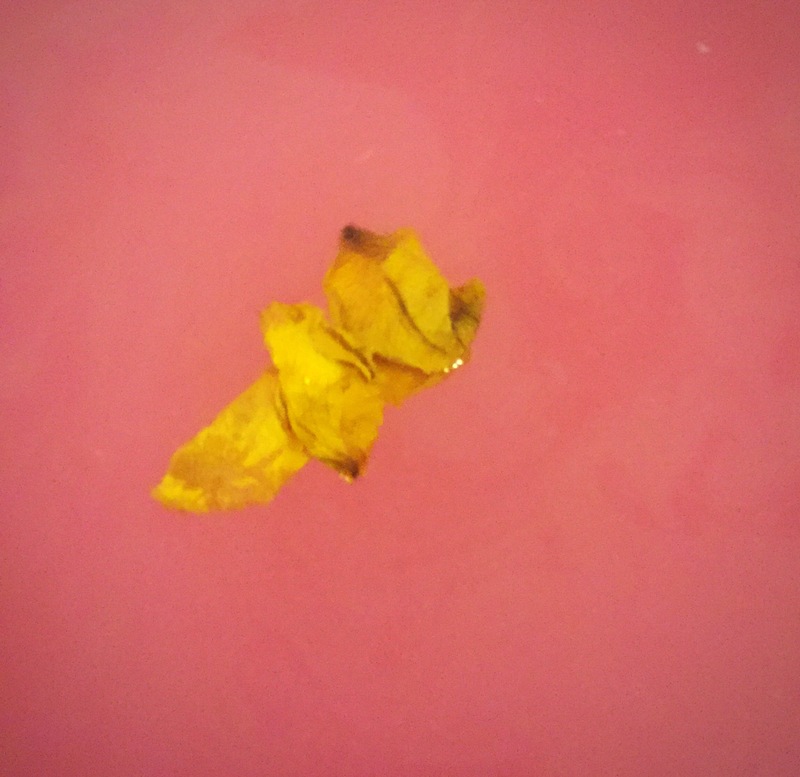 I love when a bath bomb has a little surprise and was happy to find that once the outer shell off this bath bomb had dissolved, it released a large amount of rose petals that were stored in its centre. I thought this gave a very elegant touch to the product. Overall apart from the scent I really enjoyed this product. I am a little sad that I’m not a huge rose fan, as lush produce some wonderful rose scented products. But I still enjoyed the design and element of surprise with this product very much. Ingredients – Quantitative Ingredients: Sodium Bicarbonate, Citric Acid, Fine Sea Salt, Yellow Rose Petals, Rose Absolute, Geranium Oil, Rose Oil, Sicilian Lemon Oil, *Limonene, Citronellol, Coumarin, Perfume, Frosty Holly Lustre, Colour 17200, Colour 45410.